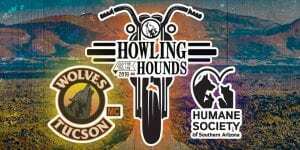 Howling for the Hounds is attended by Tucson's best bikers with the biggest hearts! Join HSSA and the Wolves MC Tucson to celebrate the 12th year of this rad fundraiser on Saturday, May 11th. Entry is only $20 and includes lunch, live music, 50/50 raffle, and live auction. Tickets can be purchased at the door of Hydraulic Repair & Supply located at 119 W. Alturas St. from 11am to 4pm Be one of the first 100 people through the gate and receive a FREE event shirt. 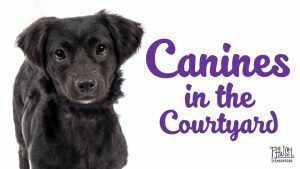 All proceeds go towards helping the homeless pets at HSSA. 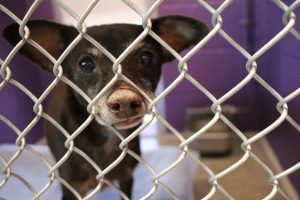 For more information on sponsorship opportunities contact HSSA's Busines Development Specialist, Porsha Martinez, at pmartinez@hssaz.org or 520-327-6088, ext. 136.